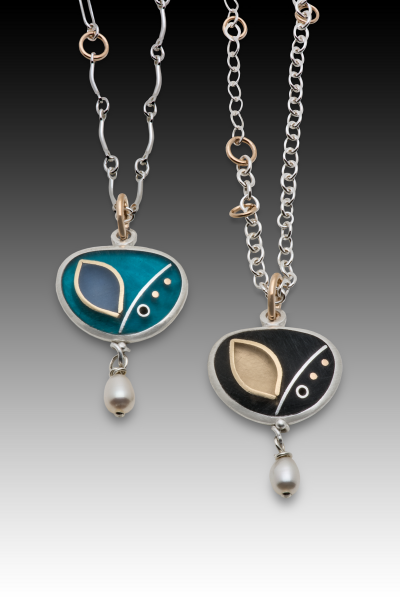 Eileen Sutton's work is hand-crafted, occasionally using a cast element, in 14k gold, sterling silver, & bronze. 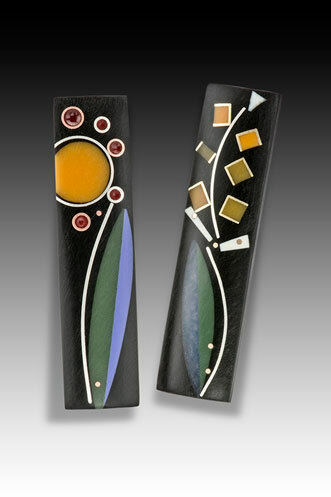 The colorful inlays are made from epoxy resin. 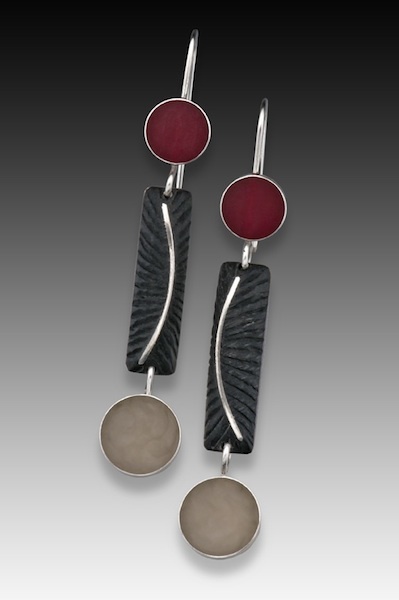 Some pieces reflect luminous jewel tones, while others include cinnamon, sage, curry, & natural tones.